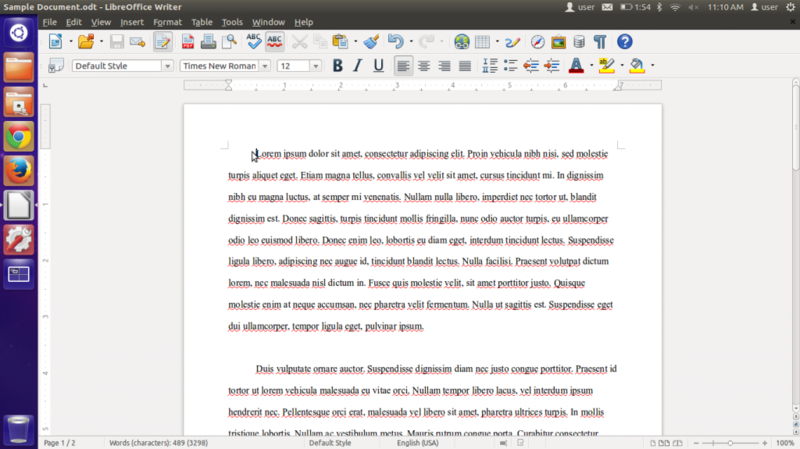 As mentioned in the introduction of this tutorial, these instructions are based on the assumption that you already have a text document that has been saved in the default LibreOffice file format. To begin, find and open the document that you want to upload to Google Drive. 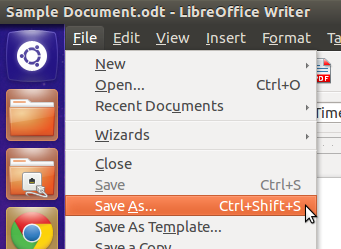 After LibreOffice launches and opens the document, click on the “File” context menu at the top left hand side of the LibreOffice application window. Find the “Save As…” option and click it. A small window will then appear, prompting you to change the file type, name and save location. First, click on the drop down selection box with the label “All Formats” and click on the “Microsoft Word 2007/2010 XML (.docx)” option. This will set the file type of the exported document to the Microsoft Office Word file format, allowing you to use the document with MS Word compatible applications and services. Choose where you want to save the file, in this example it will be put on the Desktop. 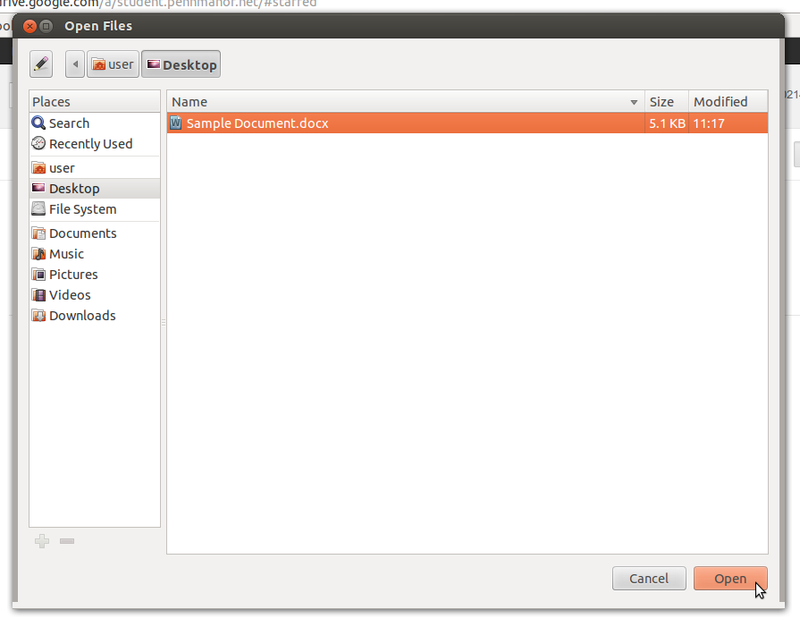 If you want to change the name of the file, you can do so in the text field at the top of this dialog window. When you are finished with these settings, click the “Save” button. 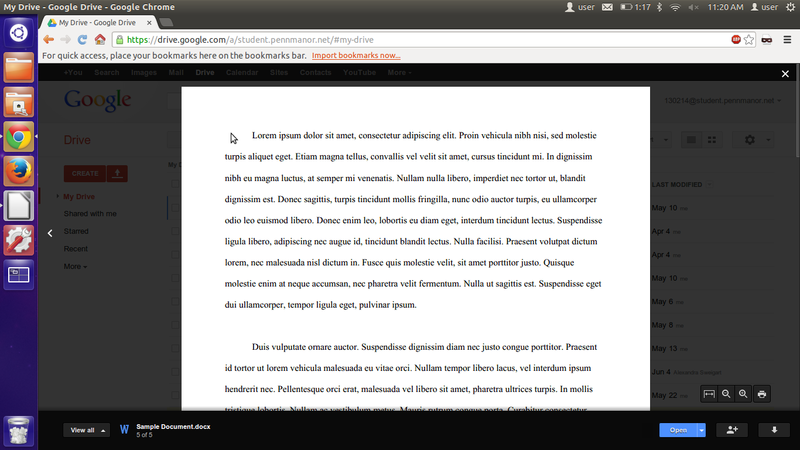 A small window will then appear, notifying you that you are not saving the file in the LibreOffice default file format. Click the “Use Microsoft Word 2007/2010 XML Format” button to continue. The file should then be saved in the new file format in the location that you specified. In this case, it appeared on the Desktop in the Microsoft Word .docx file format. Now it is possible to upload the file to Google Drive. To upload the file to your Google Docs account, first open an internet browser of your choice and log in to your Google Drive account. 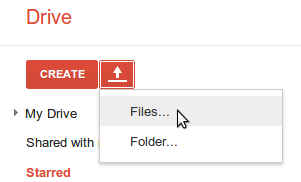 When you are logged in to Google Drive, click the upload icon next to the “Create” button above the sidebar at the left side of your screen and choose the “Files…” option. Point the file upload window to the folder that you saved the newly formatted document and click on the document that you want to upload. Click the “Open” button at the bottom right corner of this window. At this point, the file that you chose to upload to Google Docs will be uploaded. You can see the upload progress in the bottom right corner of the Google Drive window. When the file upload is complete, you can view it by clicking on its name and share it via the standard process of sharing documents in Google Docs. If you need assistance saving documents in other file formats or uploading them to services including Penn Manor Google Docs or sites such as TurnItIn, see a 1:1 Helpdesk student tech specialist for more information. This entry was posted in Applications, Other. Bookmark the permalink.